Customized workouts specific to your body. Lessons incorporate any or all of the equipment and mat work, depending on what the teacher assesses is best for the student. Private lessons are available for individuals, duets and trios. N.B. : Duets are trios are booked together by two or three people who have similar needs or goals and would like to experience Pilates together. This class will teach you Pilates utilizing all of the classical apparatus including mat work, reformer, tower, chair and props. Learn how to move the springs with control to strengthen your core muscles. This class is designed to build uniform body development, strength, and flexibility. All evening classes are $35 (2pm or later). Let gravity be your apparatus while you perform the classical mat work of Joseph Pilates. This class primarily involves exercises on the Pilates mats, with the occasional use of small props such as hand weights, weighted balls and the magic circle. You will learn all of the basic terminology, concepts, and mat exercises, starting with "The Basic 10" and expanding on from there. This class is designed to build deep strength and organization in your body. Explore the skills of the chair: learn to define isolation with precision and control. Exercises are performed on the chair sitting, standing, and lying down. This challenging class will be sure to test your balance, strength and flexibility! Perfect for the new Pilates student. You will be introduced to the fundamental exercises as well as how to use the Pilates equipment. A beginner level class that continues to introduce new exercises and prepares you to flow through the repertoire. Open to advanced beginner and intermediate level students familiar with the apparatus. This class is ideal for students who know the exercises and want to begin to flow through the movements, transitioning into more intermediate level exercises. An intermediate/advanced level class. 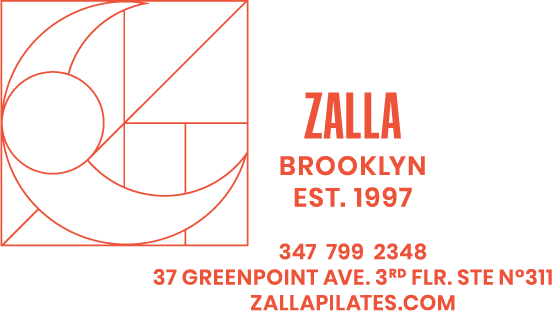 Prior Pilates experience is necessary for this class in which you will be moving with precision and flow using all the Pilates equipment. This beginner/intermediate level mat class is perfect for those who want to deepen their Pilates mat skills. Let gravity be your apparatus while you perform the classical mat work of Joseph Pilates. This intermediate mat flow class takes the classical mat work of Joseph Pilates up a notch by increasing rhythm and flow, incorporating more advanced exercises to build endurance and control in your body.